Have you found yourself doing things that you said you were going to stop doing? You said you were going to stop eating fast food? Or that you would stop drinking? You said you were going to leave that one person alone? That you would stop procrastinating? Let’s face it, we all want to do better, but sometimes we don’t always act on it. Why is that? Maybe it’s because were comfortable with the habits that we have created. How long does it take to form a habit? They say it takes between 21-28 days to create a habit which may sound like a long time to some people, but it’s actually very short! I’m sure we all have things that we wish we didn’t do, but we just need a little help on breaking old habits. 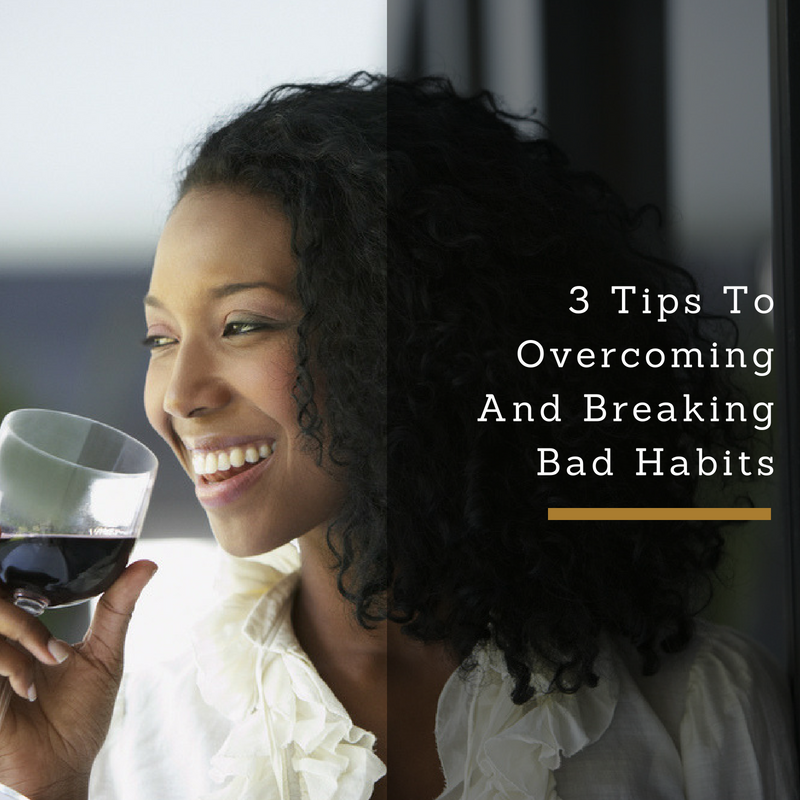 Here’s 3 tips to overcome bad habits to get you on a path to a better life. Know when something could trigger the habit your trying to work on. Say you want to stop drinking, but want to go out with your friends to a house party. Now you knew going to that party was going to end up with you being tempted to drink so why did you still go? More than likely it was because you weren’t be honest with yourself about what you can and can’t handle. Are you being honest with yourself when trying to break this bad habit? Always take a moment to ask yourself is this a good idea or is this going to potentially end up with me wishing I didn’t do it. Sometimes a new scenery is just what you need to start on a fresh path. Say you’re going out to the casino but you know you have a bad bit of saving money. Guess what? You’re setting yourself up to fail! Instead find local places that don’t require spending a lot of money or any money at all while still having a good time! We hear people say they are a product of their environment every day and it’s understandable that where you are can in fact impact you. Just remember that you as a person decide if you will allow your environment to impact you and your lifestyle so put yourself in good environment where you can make smart and beneficial decisions for your life. Breaking bad habits will never happen in a day. Depending on the habit, it could takes weeks or even months. Taking slow but steady steps will still lead you to the finish line! Say you’re trying to stop smoking. Instead of trying to go cold turkey by completing cutting out cigarettes, which could potentially have you very irritated and on the edge, try little steps like smoking less amounts of cigarettes as each week goes by. Use this example and relate it to your bad habit. Take each week to work on cutting back more and more on it, so that before you know it’ll be gone and you’ll be on your way to better living! By remembering that you are in control of your mind and your body, you will be able to tackle your bad habits and be on your way to success. Change doesn’t happen in a day, but the first step to being better is to acknowledge the issue and then find ways to come up with a solution! You attract what you are and to attract better things in life, you have to make life changes and understand the law of attraction! Here are some tips that will guarantee great success and an abundant life!